Cute little desk item made with the spirit of Texas in mind. 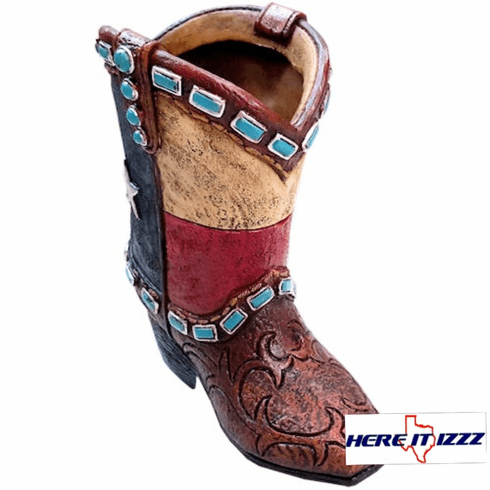 Texas cowboy boot pen or pencil holder. Small little trinket boot capable of holding a few pens or pencils and small office supplies.